Mike: Exponent.com is an excellent keyword domain. Can you tell us more about what you do? Angela: Exponent is a leading engineering and scientific consulting firm with offices in the US, EU and Asia. The firm has been best known for analyzing accidents and failures to determine their causes, but in recent years it has become more active in assisting clients with human health, environmental, engineering and regulatory issues associated with new products or processes to help prevent problems in the future. The name Exponent fits our firm well – not only does it relate to science (i.e. mathematics) but another definition is “to expound or interpret” – and that is what we do – provide objective, independent science and engineering to complex issues that our clients face. Mike: I notice the domain name Failure.com also points to Exponent.com. What is the story behind that? Angela: The company was founded 50 years ago as Failure Analysis Associates – we are the pre-eminent accident and failure analysis consulting firm in the US (if not the world!) – We broadened our capabilities in the late 1990’s which precipitated a rebrand and new name. We also are a public company on NASDAQ so the market preferred a stock symbol EXPO to FAIL! However, we were really fortunate when the internet became available to choose failure.com and fail.com – we get calls all the time to buy our URL! 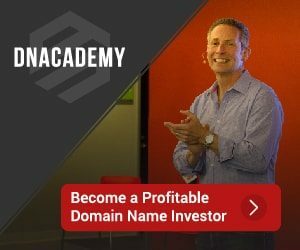 Mike: I’m curious, did you name the company and then acquire the domain name, or did you first secure the domain name before finalizing the company name? Angela: We rebranded the company in 1998 and changed the name from The Failure Group to Exponent. I guess it was really a two-pronged approach – we loved the name but we had to make sure the URL was available as well – and it was! Mike: How important is a good domain name to your business? In what ways does it have an impact? Mike: Does having a premium name reduce the need to spend on marketing or does it shift the way you promote the business in any way? Angela: We have shifted marketing dollars away from collateral to our website and social media – given our environmental consciousness, we prefer to do things electronically – clients like that – especially for marketing – we can tailor materials to the client’s needs – not just to what we want to tell them about ourselves. Having a premium name makes it so much easier for people to find you. Mike: Do you own any additional domain names and if so, how are you using them? Failure.com and Fail.com both point to Exponent. We do also have exponentengineering.com and exponentchina.com and exponent.de for work that we do that requires a specific engineering license as well as our work in Asia and Germany. Nice interview Mike, thanks for sharing. Thanks Mike, a point other businesses should note is that they have several domain names for their business and shifting more marketing to their web and social. They are essentially a tech company, but I think this kind of thinking will lead the way for a stronger domain market. Great point Andrew. Thanks for commenting. I really like the FAIL symbol, boy that would have gotten major press forever especially with the IPO. I have visited the domains before and it’s good to see a company turn failures into successes! Thanks for doing the interview. Great branding with Exponent.com.